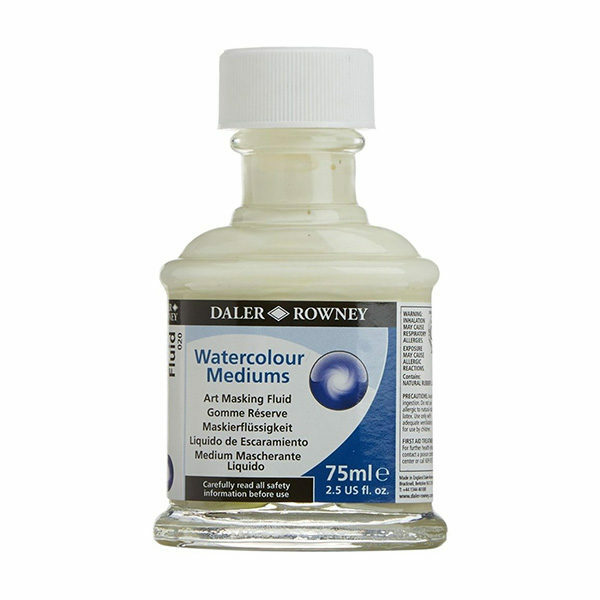 Apply one coat for a glossy surface on watercolours, poster or gouache paintings and designs. This fluid is used to create striking white highlights or to mask areas for overpainting at a later stage. It forms a fast-drying, water-resistant film on watercolor paper and board, easily removable by rubbing with an eraser, soft tissue, or cotton ball when dry. An old brush, pen or cotton ball should be used to apply Masking Fluid, as it is extremely difficult to remove from brushes when dry.